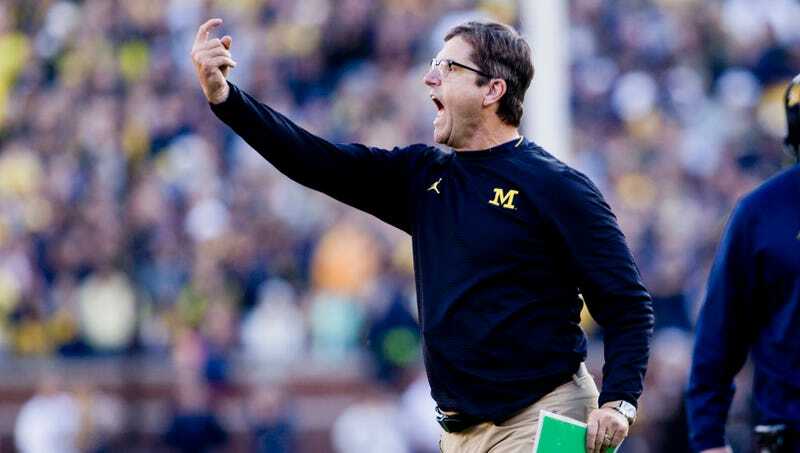 On this weekend’s episode of The Simpsons, Michigan coach/zealot Jim Harbaugh was a punchline to a joke about a “sports genius everyone hates.” Naturally, Harbaugh took it and ran, going on an extended tangent about cartoons on his weekly radio show. 247 Sports noted his responses, and he took the shot in stride. As he said, he’s used to people making fun of him, so getting made fun of by The Simpsons (or, in his words, “made sport of”) was a high water mark. My whole life, they make sport of me. But it’s pretty high class — The Simpsons! I stepped up! It’s one of my favorite shows. I love The Simpsons. The animated shows, The Simpsons and Sponge Bob are two of my all time favorites. Harbaugh also said that he was tickled by the old crying Darryl Strawberry gag. I always had Harbaugh pegged as a Sandy Cheeks man myself.